I’ve kept out of the debate on the EQF over the preceding days. I tried last time around to have some discussion, but by and large, emotion is running high and where emotions are involved it’s difficult to find balanced debate. The feedback has been extremely negative on social media despite this being out in the public realm for many months; it seems that some will hate the change that is coming, and see it as an attempt to impose barriers on an open profession that has stayed in some families for generations. As an officer with a degree, people ask me if it has ever been of use regularly. It’s a hard question to answer, because I can’t consciously tell you what happened to my brain processes during the 3 years at uni. I can’t tell you if when I make a decision, I am employing skills that I have learned specifically whilst learning in higher education. It just happens in my head, and this is a point at the crux of many arguments. I’m going to try and take a selection of criticism and discuss what the rationale is behind the changes, in a hope that it adds to the official line a little and helps to deal with some of the confusion. To be fair, no one has said that anyone is bad at their job. This has never been part of the reason for the EQF and it never will be. It’s an argument that seems to fit the emotion of the moment though, and much like the arguments that fit the emotion of Brexit and the American Election, they have legs. This statement has the strangest logic about it, because it is kind of saying that higher education won’t help improve anything, often without the people saying it having experienced it. How can anyone know if something will help or not if they haven’t done it? Some of the best courses in policing change the way that people operate in their jobs forever, and these are only a few weeks long. What may happen with knowledge gained over several years? If you’re a cop already, you won’t have to do anything differently, but you will have the option of accrediting experience you already have. Just to make it very clear, it will not be compulsory for serving officers. This has been said about any profession that has undergone Professionalisation – and please note the capital ‘P’ (see below). Experience is the cornerstone of learning, and common sense is indeed needed in vast quantities. The decision making in policing contains significant risk, and it has to be communicated in a way that the public interacting with us understand. A liberal dose of common sense doesn’t just come in handy, it’s essential. The argument above is valid and it won’t change, I would say however that adding in ‘education’ doesn’t exactly reduce the above to a poorer version of itself. Being able to supplement the experience and common sense with understanding that isn’t present in current training can only assist? Could it mean that our decisions become more informed? Stating that experience and common sense are mutually exclusive of education is actually quite insulting, as it suggests that all graduates lack life experience and can’t relate to public facing work… I’m really sorry, but this isn’t only untrue, it insults most of the NHS, social workers, the legal profession, teachers and many other public facing occupations. Personally, I think we can – and should – be better than this. A ‘Profession’ (capital P) is an occupation that has key characteristics, including an established knowledge base, a formalised and standardised route for qualification, established and monitored continuing professional development, and a dedication to improving practice (list is non-exhaustive). You may have seen that all of these factors are currently being developed by the College of Policing. A Profession is therefore a different thing to being professional, which I think of as doing your job well and having pride in your work – both of which are present in policing in abundance. No one is calling anyone unprofessional. Becoming a ‘Profession’ is very different to people being professional, and conflating the two leads to really dangerous misunderstandings. The old fashioned idea of a degree gained by sitting in a dusty library discussing obscure theory is not applicable in this context in any way, and suggesting that it is is nothing but hyperbole. This is a valid opinion, it is possible that this change may affect diversity. It is important however, to realise where we are critiquing from. We have a a very unrepresentative workforce, and we have some way to go before the service reflects our communities (whether we should be aiming for that is a whole other blog). The diversity profile of higher education is far better than that of policing, and we must remember that a good proportion of officers will still enter through the apprenticeship route. We can’t guess how the EQF will affect our diversity profile, it may even improve it… it is however a legitimate risk and people are right to raise it. People looking for answers in this area may be disappointed, it will be a complicated issue that will need a lot of unpicking. This has been a very common rebuff, and I’ve spoken to a lot of people who joined decades ago that simply would not be in the service if it was degree entry only. The thing is, *apologies for the bold text* POLICING WILL NOT BE DEGREE ENTRY ONLY. This has been much discussed and it needs to stop. Apprenticeships will be available that allow those without qualifications to join the service, just as the paramedic career pathways allow. In truth, this will mean that those without qualifications will leave the service as a graduate. I think this is entirely appropriate for the actual work that an officer undertakes and think it is a hugely positive step. We know that initial police training will rise from being at level 3-4 standard, to level 6. This means our officers will receive higher levels of training and education, that prepare them for not just taking action, but also understanding the wider context that the service sits within. I could discuss critical thinking and reflective practice, but both of these terms are often referred to as jargon, are poorly explained and often taken as an insult (I’m already critical etc.). The truth is that decision making at the sharp end is getting more difficult as we start to interact with risk and vulnerability more and more. In the past, when we knew less, this was OK, as we acted on the information we had. This is changing, and as a knowledge base builds, you can’t ignore it or refuse to use it. There must be a mechanism of passing that information to practitioners, and training as it stands won’t quite cut it. Training is currently also variable, and this means that probationers in Constabulary 1, have less training than Constabulary 2. Not only does this put practitioners at some risk, it also provides a differing level of service depending on where you live (the use of Restorative Justice is a classic example). Let’s get our act together on this and admit our system is fractured? The EQF stops this in its tracks and establishes national standards that uniformly equip our officers. It establishes a common language and framework of understanding, a base level of knowledge, and introduces all officers to continuing professional development before even joining the service. Contrary to the *academics are ruining this job* mantra, you can bet that faculties up and down the country will be mixed, with criminologists, researchers, police officers/ex-police officers and students all working together. OK, so it’s not perfect. It will have its challenges and it will have its speed bumps. It does however form a huge part of any Profession. It’s not about officers being unprofessional, incapable, or about the academic illuminati taking over, it’s there to raise initial levels of understanding and acknowledge the complexity of police work. And before anyone says it, I’m not saying officers don’t think, only that our current system of training often doesn’t train the mind specifically to do it 🙂 I hope this blog clears up a few things/helps, and as usual I’m always available on Twitter if you want to feedback/comment. 1) Will the reduction in ranks in policing be positive or negative? Why? 2) How can the voices of officers be heard better by leaders in the police service? 3) There are competing demands for police attendance at present, what role does leadership have in resolving these issues? The debate was well attended and we had 59 people tweet using the hashtag and several more who participated without. It was a busy chat, with 435 tweets and a reach of almost 800,000. These numbers are all well and good, but what do they mean? What does this chat ‘do’? 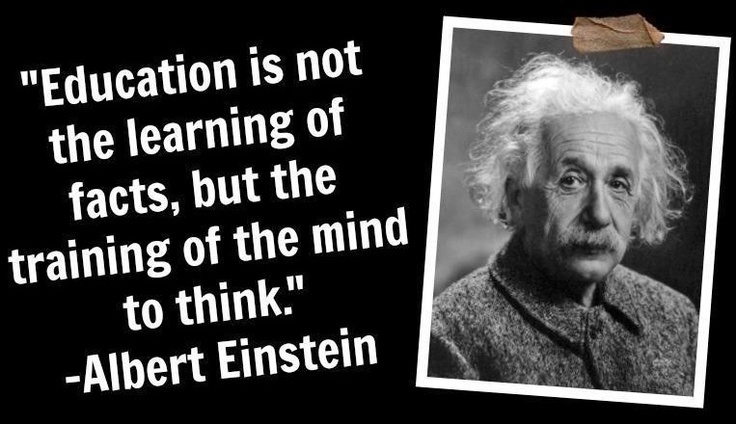 Where is the learning? @WeCops chats are an opportunity for people to talk, share and comment about a subject proposed by the person leading the chat. There has been debate about what the ‘end product’ may be, yet this may frustrate the purpose of @WeCops altogether. Before there was a @WeCops, discussing police leadership on Twitter was impossible without vitriol and negativity that persisted despite the best of intentions. It wasn’t possible for people to discuss some issues without constant references to ‘shiny-arses’ or ‘desk dwellers.’ Twitter was pretty much bereft of police professional development discussions, and there was only a very small community of practice. @WeCops is changing this, and for the first time in my memory, there is a relatively ‘safe’ space to discuss issues that are sometimes contentious and (we hope) always interesting. Sometimes, the product is the chat, and the DM’s we don’t see, and the connections between practitioners that happen as a result of it. This stuff is important, and it’s happening as a result of these debates. The first largely fell as a set of questions, largely asking why we were removing ranks at all? This is a strong indicator that the conversation just hasn’t been had with police officers and staff, and if people don’t understand the reasons why something is happening, it violates some pretty well researched organisational justice principles. Leave people in the dark, and the space around this change will be filled with the culture, and the cop culture can be cynical and unforgiving. If ranks are going, what happens to the work we have currently? Is there a distribution upwards or downwards, or is it going altogether in some cases? The long and the short of this is that officers and staff want to know why the rank removal is happening, and the answers aren’t there. The second relevant part of this discussion centers around whether rank should be the ‘real’ question at all? Tweets discussing whether the removal of ranks would change behaviour were repeated, and this is a very good point. Removing a silver pip from a shoulder may not change behaviour for the better, so what is the reason for the change? Some participants suggested it was about saving money, from what I know, it’s actually about the levels of work in the organisation and how they correspond with levels of leadership. But again, this conversation is absent and this space needs filling with the right information. Q2 was a healthy mix of practical tips through to the very salient, ‘We can talk but will they listen?‘ This may be a display of cynicism, but it was a strong one and repeated throughout the debate. There were some good contributions from leaders about how they speak with staff currently, and also about some examples where they have listened and acted on feedback. There was little discussion of true innovation in this area though; very few discussed using new technology, or involving the frontline in making the decisions that affect them (it was mentioned, but not by many). This is an important shift, and I think the question invited some challenge. It may be less about listening/speaking with, and more about just stepping backwards and allowing the frontline to do it themselves with the right support. Q3 was topical, with many officers calling for senior officer intervention in mental health on Twitter regularly. The main theme was a strong ask for leaders to really work with partners to reduce demands on them. This makes for an interesting question, as the skills for cross agency working and negotiation may not be the same skills for operational command and control. The lower ranks create an operational skills filter, and then they are asked to do a full 180° turn and operate in a totally different manner once they reach higher levels in the organisation. This is a risk for the future, and it’s also why selecting people for role and not rank is so important. The skills that leadership now need, may not be the skills that they cut their teeth with. How do we navigate this as a service? How do we plan and select people well enough to fill this gap? This blog will be shared with people in the College of Policing and in HMIC who are currently working in exactly this area. We hope that @WeCops offers a way to collect the voices of those involved in the chats, and then collate that feedback and pass it to those working on change in policing right now. The choice to get involved is yours, so please feel free to either take part in the chats, propose one, or simply watch and hopefully take some learning from it. Thanks for taking part! Leadership is a strange thing. When I first joined twitter, I got caught up in the endless stream of quotes that are shared liberally by leadership gurus and coaches on there. It’s populated by short collections of sentences that are meant to make leadership easier to understand, but are often contradictory. 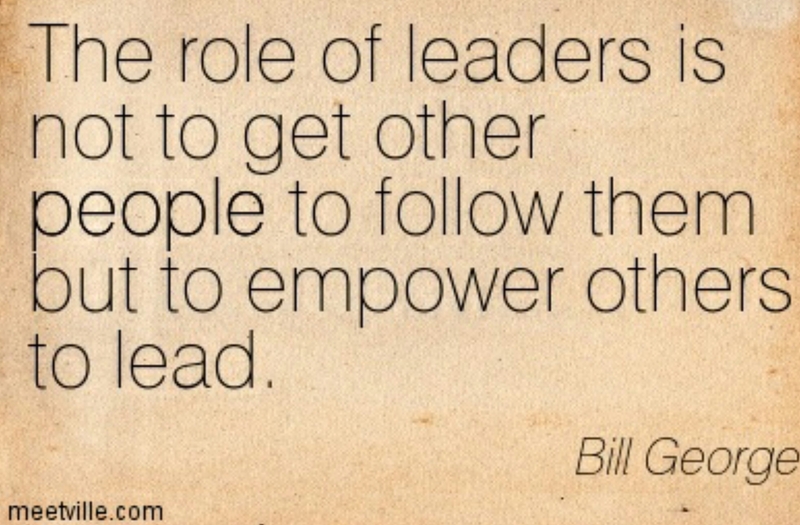 A great example of this is the current debate (often unseen) between followership and empowerment. On one side, leaders are people that inspire people to follow them where they are going, provide a vision, inspiration and support, and on another, leaders don’t set the way at all, they support others to find it. This clash is often not even discussed, but there are a hundred quotes on either side that do the rounds every day, with people taking inspiration from them constantly. The truth of course, is that leadership is a lot more complicated than ‘showing the way,’ or becoming a ‘lion’ to lead the ‘sheep’ It’s what is often called ‘negotiated.’ What does this mean? Good question. • Do I want to do that thing? • Am I supposed to do that thing? • Is it legal to do that thing? • Have I got what I need to do that thing? • Do I feel capable of doing that thing? • Do I want to do that thing for them? • What are the consequences of me not doing it? In the Police context there’s a lot of this going on under the *corporate jargon alert* banner of ‘discretionary effort.’ Discretionary effort (for me) is all about changing the dynamic of this conversation going on in people’s heads. Researchers will discuss the amount of discretion afforded to police prior to them making decisions in work based situations. The position of Constable is a unique one, because they often hold the power to choose whether they enact particular disposals eg. give a ticket to someone speeding. This isn’t the same as in other jobs, where refusing to provide something is technically a disciplinary offence automatically. Officers can – and do – refuse to make arrests where they believe it is inappropriate, thus complicating the notion of leadership within the police context even further. On a personal note, the switch from ‘What are the consequences of me not doing it?’ as the main driver of activity, to, ‘I want to do it,’ is one of the key functions of leadership, and it can come about over any number of scenarios. The important take home about thinking about leadership in this way, is that the person being ‘led’ has as much (if not more) control over any action’s success, than the leader. Leadership is as much about the people being led, as it is about those doing the leading. Making that responsibility conscious is really important, because good leaders can be ruined by dysfunctional teams, and great teams can be ruined by dysfunctional leaders. Leadership is a relationship, it’s not a list of behaviours. External context also has a huge part to play in policing. There are numerous people that the police actually serve. Layering in the Code of Ethics, and understanding that we are there ultimately for the public, whilst delivering for the Home Office as a function of democracy, whilst staying accountable to local communities and being pro-active in safeguarding the vulnerable, is no small ask. It may be the case that delivering a function requested by the people due to issues with the system elsewhere (mental health) may be vastly unpalatable to the workforce. This clash is also where leadership lies, and it can again exist on a spectrum of respecting the workforce’s wishes and pushing back against the requests for demand, right through to listening to the calls and delivering what the public is asking of us. This is part of a much wider ‘negotiation’ between the public and the police, and it is never as simple as listening to one stakeholder (such as your workforce in isolation) and doing what they request. The future of this ‘negotiation’ is likely to be messy, partisan and full of politics – whether we as officers like it to be, or not. Question one is about affecting the physical distance between the top and the bottom of the organisation. Will this help or hinder the relationships that leaders and those being led must navigate? Question two is about leaders entering into a conversation with those being led. What could help to improve the current situation? This is about developing the ‘negotiation’. Question three is about what happens when multiple stakeholders in the leadership relationship clash. Who takes precedence and how do we navigate the issues that may arise? I’m beginning to do some heavy reading about the way that we interact and ‘fit in’ with each other as the basis for my next stint of study. Having been a police officer for quite a while now, questions of how I fit into the organisation have persisted since I first joined. They are still there, and the questions around what ‘fit’ means, and what it does and doesn’t do, to those who may or may not ‘fit’ has driven this personal area of research for me. This is just me sharing some thoughts on the changes in perception of policing off the back of my reading. My last blog here discusses the fact that the service may be selecting new recruits that have active exposure to the organisation. So, the bulk of the recruits come from specials, PCSO’s, staff and people who already personally know police officers. The research already done into this suggests that a lot of what is going on is just information sharing between people who know each other, but this information holds value in the recruitment processes, and in turn the use of this information then provides overly robust competition for those without it. So… an example. Many people in my family for their view about policing by what is portrayed on television and online. They are always happy to discuss the latest episode of ‘Interceptors’, and are often quite disappointed when I mention that fact that that work represents a very small part of policing. The ‘cops and robbers’ story is one that as a society we know well. Films, TV, books and online communities discuss the chasing and catching of bad guys like it’s the holy grail of policing, indeed, a lot of officers feel that way too. When I speak with my family, I often break this perception, and discuss how the work actually is. It isn’t like those programs for most of the time. In fact, most of the time its quite tough emotionally. But those 24 hour shifts have their benefits and it’s not as scary as people think, and you always have back up close by and an emergency button, and you’re one big team and you look after each other… this conversation is important, because it breaks their preconceptions about the job, and ultimately it informs on whether they would ever see it as a potential career. Without me having this discussion, it’s all about fast cars, fighting, and kicking doors in. The research tells us that a lot of police work is actually very boring and party to high levels of emotional labour. What does this mean? It means that for every bad guy that gets caught, there are hours of generally pointless patrol/graft and lots of time spent dealing with upset victims of crime and administering process. That 5% that you see on TV, that reinforces and develops a lot of the police ‘story’, the cops and robbers, the heroes and villains, the romantic saviour and macho fairytale warriors… all of that is woven into the fabric of society, and people believe it to be true. This cops and robbers theme is apparent within policing. Commendations go to people fighting with violent and unpredictable people, people risking their lives, and those who deal with horrific calamities. All of these people, are of course especially deserving. What you rarely see, is the reward for exceptional empathy with a traumatised victim, a lengthy and protracted partnership initiative, or the dogged pursuance of that case that everyone thought was dead. The balance is out. The vast majority of very difficult emotional work is under valued and under rewarded, whilst the slight minority of bravery based incidents receive worthy plaudits. Now, I shall repeat, as often is the case when these blogs are read, someone caught up firmly in the cops and robbers story will say this is about belittling bravery or some other such nonsense. I’m not decrying what we do, I’m decrying what we don’t do. The future of policing is not policing as we know it. The fairytale version of crime is diminishing, along with the crime types that propagate it. More exposure was given to projects/comments about burglary in the media this last week than the rise of modern slavery and hate crime. We like what we know, and we know cops and robbers. Crime is becoming more complex, the emotional labour for officers is rising, and people who are sold on the story of catching bad guys and keeping people safe see the rising tide of mental health incidents, social problems, and complexity approaching. It’s not comfortable. So what about cultural fit? The service has to begin asking itself if its image reflects its future demand. Are people joining the service ready for the content of the work that they will be facing? How are we changing what we do to meet these changing needs? What are we doing to build a ‘new story’ about policing? Where in the media is the team following a community officer as they work through the very difficult social problems that they deal with? Where is the story of broken police officers caught under high emotional strain, and receiving amazing support from the organisations where they work? Where is the story of accepting new skills and backgrounds into the service without constant references back to a time when we were hiding in back alleys and catching people carrying swag bags? Where are the stories about supporting and developing and empowering the vulnerable? I know that people don’t like change. Right now we are in the middle of a seismic period of it. Austerity has ripped capacity away to the brink of reactive capability. Our terms are creaking across the service, from back office to frontline blue light response. One thing hasn’t changed though, and that is the story that accompanies policing. There’s a big question here around cultural fit… what does and did that ‘fit’ look like? How has it been propagated? What amazing things did it bring to our workforce? But with changing demand looming (sorry, it’s not looming, it’s here), what would a change in ‘fit’ look like? What would it require? How will people wedded to the story of cops and robbers face that impending change? How do we change the perception of those attracted to or who are joining the service now? How do we have that conversation as a profession? How would we select for a new ‘fit’? Do we need one? I don’t have the answers to these questions. I just know that the present service is creaking, whilst in many cases firmly wedded to a demand profile that is changing rapidly. Is the answer that there is no ‘fit’ anymore? Or is it that there is a new one being developed? Whatever the answer to these questions, the police identity is in turmoil and settling upon a direction (whatever that may be) will require huge cultural shift efforts from forces up and down the country. This is against the backdrop of hugely reduced capacity, creating stress and rising threats to officers’ mental health. Is policing a closed shop? I’ve been quite worried about posting this, as I watch as other good people on Twitter take abuse and nastiness for no other reason than they represent something different. I’ve been through it, and I pretty much ration my time on here because it’s not worth the angst. This stuff is important though, and it scales up from the smallest processes, right into organisational behaviours. The reason that it is controversial, is that the shop being closed is a pretty comfy way of operating. There’s less conflict, people maintain existing strong familial and friendship based relationships, and we always do what we’ve always done. This stuff needs discussion, because it lifts the lid on some of the micro interactions that shape the service. It illustrates some of the need for change, and it also prys open the lid on all the speculative conversations about representation in the cops. Before I start, this blog rests on the assumption that increasing diversity in policing is something worth achieving. I wholly believe this, but the reasons for that belief probably don’t stack up with the ‘accepted’ reasons. Chasing particular strands of diversity to reach targets that have little meaning is counter productive (in my eyes). Encouraging difference as a means to challenge group think and bring about dissent and change? That’s my bag right there. This research relied on some theory that was around in the 1970’s. The studies were on the labour markets of professional, technical and managerial jobs, they essentially studied how people got into those areas of work and why. Mark Granovetter was one of the pioneers in this area, and his research showed that people got work in these areas via knowing someone who worked within them already. He makes a distinction between ‘Strong Ties’ with the profession in question (family etc.) prior to joining, and ‘Weak Ties’ in the form of friends and acquaintances. He found that in those particular areas of work, friends and acquaintances represented the ties that got people jobs. In other words, organisations often recruited through personal connections with people that already worked there. I took this method of research, and used it to analyse the last period of recruitment in my Constabulary. Just under half of the people (about 1000) who applied filled in the survey, and this means that it’s pretty good to generate some conclusions from. 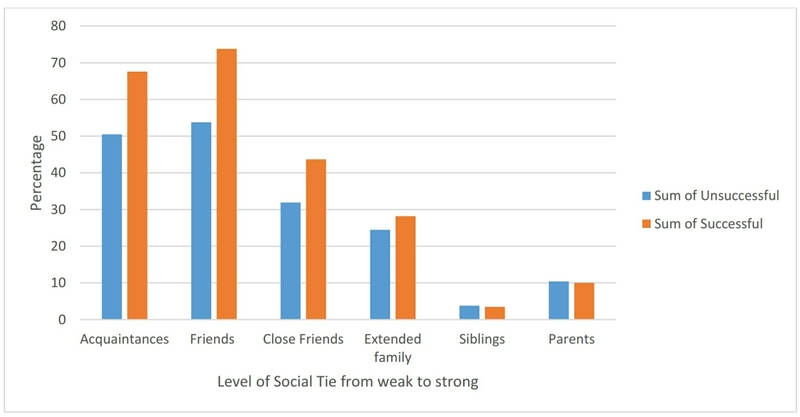 The results showed very clearly that the Theory of Weak Ties from Granovetter transferred over into policing very well, with Ties proving very significant in the success of candidates. The orange bars are the successful candidates, and you can see the difference in proportion between those that applied, and those that were successful by looking at the differences between the blue and the orange bars. The survey proved that Weak Ties were very significant in police recruitment. In other words, if you know a cop socially, you’re far more likely to be successful during the recruitment process. I don’t want to get into discussing the technical aspects of the research as this is a blog and is meant to be readable for everyone. For this reason I’ve left out some important detail that researchers may want to ask questions about (happy to be contacted if so). What are the implications of this research? It all looks a little abstract doesn’t it? Well in reality it raises some very important questions about the profession. Are current cops more likely to socialise with each other? I would look at previous research on culture and guess that that is the case for a large number of reasons. This will mean that they will have quite a close circle of friends and acquaintances, and in turn this means that cops mix in circles often populated by those in the same social strata. This makes sense to me. I can’t associate with any one who commits crime, including the taking of drugs, I struggle to interact with people who don’t work my shifts, and there’s a peculiar pessimism that follows cops around wherever they go. Cops are often comfy with very strong childhood friends, or people that they meet through work (this is my experience talking, not my research – yet). If we take the ‘social isolation’ evidenced in other cultural studies, it suggests that the ties that cops build, may not actually be very diverse themselves. 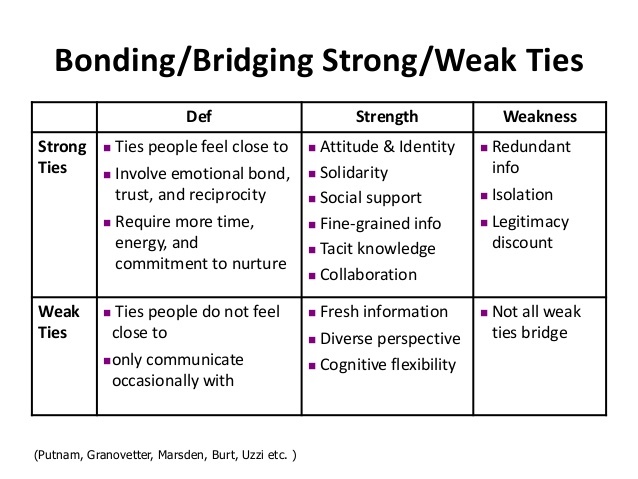 The science also tells us that your close friends, often have the same close friends, and they lack what are called ‘bridging ties.’ These are ties that allow you to access another area of life experience, like those in very different jobs or communities. These bridging ties are very important to job hunters, and the research above tells us that they are important for the police. What does this research lead me to think? This research leads me to think that the police suffer from something called ‘ethno centrism,’ fancy words for the ethnicity of your employees, passing information to people of the same/similar ethnicity, which in turn holds value in recruitment processes. Examples of this would be a serving officer having a conversation about the assessment center with a prospective candidate, or passing information about the current priorities of a particular force to a candidate. This information holds value, and it allows prospective candidates to prepare far more rigorously. As someone who has conducted recruitment interviews, you can spot the person with officer contacts immediately, they are savvy on the new areas being discussed in the force and use the right structure for answering the questions etc.. The various coaching companies that offer advice to prospective candidates take advantage of this benefit that particular information brings, and that is then accessed by candidates too – usually off the back of advice given by a current serving officer who has used them themselves. This is all very fancy Gareth, but what does all this mean? There are some who would say, ‘It makes sense for someone to get all the right information about a job before applying, the advantage is a result of their hard work.’ This is to some extent true, but the big question remains: ‘Does everyone applying have equal access to that information?’ If the answer is no, then we have a system that relies on current ties with police officers to select its recruits… and I would suggest that this is why there has been no step change in diverse recruitment for many years. Of course, this isn’t the only answer to the issues faced, there remains a huge list of issues that also need research, but the knock on effects of the above results could be very damaging, and create questions within communities as they are disadvantaged unconsciously by the current recruitment system. The recruitment system within forces is changed to prevent the passage of this information holding the value that it does for prospective candidates. The information that holds value is given to everyone at the point of application. Questions that measure current knowledge of force priorities that are not competency based should be reconsidered, as the likelihood is that they measure access to information and not any sort of personal quality. Strict ‘policisms’ and jargon should be removed from all internal application processes. Increased use of psychometrics and evidence based situational judgement tests should be considered to replace application forms. Interview questions should be non-police scenario based. The selectors of recruits should be thoroughly trained in unconscious bias and recruitment and selection – and this is time dependent, if the training was 15 years ago, it really needs looking at. The above suggestions are not exhaustive and can easily be built upon, because underlying this research is an internal bias that we don’t know is there, that we can’t see, and that we are convinced is objective and fair. The research shows that this bias is present, but how we choose to then deal with this information is wholly within our control. Is policing a closed shop? In this example, 8% of candidates would illustrate that the door is slightly open. The question that now needs answering, is how much more do we need that door to open to prepare us for the future? I would suggest it is a little more than 8%. Diversity of thought: a challenge to group think. There is a phrase doing the rounds in policing. The phrase is ‘diversity of thought.’ I think I first heard Irene Curtis discuss it in one of her Superintendent’s Association speeches. When I heard it, it pulled chords in me straight away. It’s one of those phrases where you say, ‘Yes!’ the minute you hear it. Since then, I’ve used it a lot. Sometimes it is thrown in a blog, sometimes a talk, sometimes it’s in papers I’m writing. More recently, I’ve had cause to start to research some of the policing identity (jargon buster – concepts, beliefs, qualities and expressions), and it has began to point me towards asking some questions about what diversity of thought actually looks like in the policing context. I think a lot of the discussion is an indirect critique of ‘group think.’ What is group think? It’s where people within organisations or teams share a common identity that is very strong. It results in consensus quickly when decisions need to be made, limits debate (as there is nothing to debate! ), and reduces conflict in the workplace. If you think about these things, they actually seem pretty attractive for any CEO. Groupthink = less conflict, more consensus, speeds up decision making? Sounds pretty good to most leaders! I was once at Bramshill before it closed, when a senior leader (ACPO) singled me out, walked up to me and said, ‘You will never be a leader in the police. Look at your tattoos. You will have to remove them. There is no way you will make it.‘ The look of disgust on her face was palpable, and it made me feel about an inch tall – for a second or so. I made my excuses and left the conversation. I’m normally happy to have discussions about my tattoos with anyone who asks, and my neck and hands are clear (and will remain clear) in case I need to look smart (for my wife, generally :-D). I wasn’t quite ready to have the conversation that I should have had with that individual. So what is happening here? Well, technically I’m being judged on my leadership ability due to what amounts to colouring in on my skin. Yes, I made choices to have that colouring in, but none of it is in any way offensive. They’ve dropped far more barriers in my service as I must have had hundreds of conversations with people young and old about what they mean and why I’ve had them. They’ve actually diffused incidents, and opened up conversations with some youngsters who were pretty difficult to talk with (from a cop perspective). So what is going on? How can colouring in on my skin bring about such disgust in senior leaders? I know that conversations around tattoos go on up and down this country, with the defensive label of ‘standards.’ It’s like my ability to work suffers because my forearm has a picture of a rose on it??! How can I possibly be suited to leadership if I have a swallow that is visible? Some members of the public may make negative judgements about me because I have them? Possibly, but then we enter the realm of arguing that the police should be the ones visibly promoting the removal of stigma, instead of reinforcing it. It’s estimated that one in five of the UK population has a tattoo, and one in three of those under twenty-five. That’s a pretty big group to be carrying huge preconceptions about, isn’t it? Yes, yes it is a uniform thing. It’s a uniformity of prejudice, that represents a particular view from a particular demographic. It’s regressive, and it’s stopping talented people joining the police service. It’s stopping those conversations with young people, it’s stopping some officers being themselves, and the last thing it represents is diversity of anything. So, this blog is about Diversity of Thought. That last section was about my experience of having tattoos in the police. How do the two meet? They meet in the level of consensus around decisions being made about appearance, without anyone asking very difficult questions that may bring about significant discomfort. How many frontline officers or members of the public are feeding into their force’s tattoo policy? I would bet you some good money that the answer is incredibly low (if any). Yet that policy affects them on a daily basis, and it affects their interaction with each other. If you leave difficult questions like these to a particular demographic or tight knit group, unless that group is an enlightened one, you can bet your bottom dollar that group think will win out. What do people of my race, age, class and background think? Do people of other races, ages, classes and backgrounds think differently? What does my profession represent to me? What does it represent to others? What would someone who disagrees with our thinking say? Why would someone agree with us? These are all practical questions that re-frame the debate, and having tried some of these techniques out, they do alter thinking in the room. They also slow discussion down, make decisions slower, and generally introduce some messy conflict that will need managing. Why would any manager want these things? Much of this discussion above represents a jump to action. The police are proud of their ability to make quick decisions, and we should celebrate that. Genuinely, the UK police are a shining light in policing around the world. As a group, we need to be proud, acknowledge our heritage, and hold on to amazing things like high trust from our communities and policing by consent. That we, largely, police without bearing arms is nothing short of amazing. There are however, big changes that we need to make. The debate above is a very small example about what happens if you compartmentalise decision making into a small group of people that largely represent the same demographic. We are all a product of our experiences, so what happens if you joined the police at nineteen, and are twenty plus years in within the same force you joined, interacting with the same people you joined with? The propensity for unconscious group think is pretty crazy. There will be shared assumptions that guide decision making into a particular box, and if you look in the right places, you will see them in action. I wouldn’t have made that decision there. I think you need to consider making it here in the future [I would like you to make decisions like me, please]. You didn’t identify that discipline was appropriate in this example [please follow the same disciplinary standards as me]. You need to network more with senior management [we aren’t comfortable with the relationship we have with you, you may represent conflict]. You didn’t come across as assertive or confident enough [I’m an extrovert and I need to see you be more extrovert, please]. You haven’t been in neighbourhood policing yet [please follow a similar career path to the current version of group think]. No visible tattoos, they aren’t professional [you don’t look like the vast majority of other officers so cover yourself up until you do]. These teams can’t operate with a supervisor on flexible working [Flexible working is complicated and requires more effort to manage, I don’t like it or want to administrate it. Keep things as they are.]. No unnatural colours in your hair [you wouldn’t look like the vast majority of other officers and I (and by proxy, others like me) find blue hair unprofessional]. It’s career or having children, it’s a clear choice [pretty self explanatory]. There are plenty of other places that these areas of group think pop up in, and don’t get me wrong, it isn’t all bad. Group think can really help in times of stress, and if fast decisions need making without conflict. It also can make for a harmonious senior management team, who pretty much lie on the same page across the piste (mixing my metaphors with aplomb!). I must also say at this point that I have met many open minded senior leaders, who present the exact opposite picture to that discussed above. It is likely we are all getting caught up in the thinking of our bubble, and the very thing that we call for from our leaders – Diversity of Thought – is exactly what we should be practising ourselves. Finally, what I would say about this, is that breaking or challenging group think (even your own) takes conscious effort and practice. I’ve mentioned it in past blogs, but the ability to critically reflect on your own pillars of thought is such a vital skill that it should come before many others that we take for granted. Being in a place of learning is actively uncomfortable, it brings about feelings of uncertainty, feelings of being lost, and feelings of anxiety. I know that many colleagues feel like this at the moment, and being able to explore it, both personally and together with peers, is a luxury ill afforded by time. It’s up to leaders (and I don’t mean just in rank terms) to grasp the nettle and push into these areas of discomfort. It’s where we all grow. Finishing on an artistic note, here’s a quote from Keats on the ability to use ‘negative capability.’ He describes it in the context of exploring your doubts without resorting to facts or reason. It is your personal ability to reason that you are actively trying to avoid, and this is really, really hard. Especially in a profession so wedded to quick judgement and strong uniformity of belief and assumption. Judgement: Tattoo’s are bad, they are unprofessional and paint a negative view of the service. Negative capability: Is that my personal reason talking? Is that actually true? Would others agree? What if I had tattoos? What if my son/daughter had tattoos? etc. Diversity of thought, at a pretty fundamental level, represents an individual recognising that their thought is not the only thought, and that other people’s thought holds equal value to theirs. For any public service that seeks to hold some function that is representative, it’s essential. Measuring Leadership: the Holy Grail? It doesn’t take rocket science to realise that these clash quite significantly. This is true of much of the leadership literature. You can find books about keeping ‘grip and control,’ and place them directly across from books by leadership consultants/gurus like Simon Sinek. Sinek will talk about empowerment, and finding meaning, whereas the grip and control gurus will talk about managing process and keeping tight audit. An organisation calls the researchers in because the staff survey says that working in that company at that time is pretty awful. They may like the work, but they don’t like the leaders, and they certainly don’t like the environment and culture. Unsurprisingly, a particular set of behaviours is absent, and the workplace needs them to begin to function in a balanced way. So… a really heavy command and control culture, is likely to need empowerment and far more communication up and down. The company needs them, because there has been a culture in place for some time, and that culture has self propagated behaviours in order to function in a particular way. This happened with policing during the performance era. Performance became the by-word for success, and if you delivered performance you were held to be a ‘good’ leader. Those leaders then entered into positions where they got to select other future leaders, and as performance had always been important to them, it became important to other aspiring leaders too. When this begins to happen, you see a distillation of behaviour. It becomes palpably strong, almost themic. The trouble is, the police is a pretty diverse organisation in terms of function. You really shouldn’t have command and control permeating through every department in the police, it’s damaging. You need different leadership styles in neighbourhood policing, CID, community cohesion etc.. As Command and Control remained the dominant leadership style, so it did grow into an unstoppable force, and it still remains immensely important in policing to this day. Command and Control is a controversial subject. Some leaders will swear by it. They call it by all sorts of names and usually attach ‘Operationally Credible’ to its use. The demand stats show that the kind of work that needs it is actually really, really rare, yet it’s sticking around with a vengeance up and down the country. There are good reasons for this, as if the Command had been better at high profile incidents where there has been loss of life, the outcome may have been very different. If you screw up when you need it, the outcomes can be pretty atrocious. So, what have we got so far? We have the need for Command and Control in fairly rare incidents, but it is of very high importance. Do we need it everywhere? Clearly not. Yet, as with many things in policing, the broad brush is applied, and usually all candidates will have to prove their ability in Command and Control during promotion processes etc.. This results in a very specific set of behaviours being applied as a filter through to areas of leadership. And, I need to add some comment in here about measuring Command and Control (or investigation, or road traffic incidents etc. – whatever you choose to measure as a filter). If you are being measured on whether you reach the same decisions, as those that designed the exercises, then you are only being measured for whether you think like them. This is designed in group-think. Decisions have to be able to be made that are different to the ‘accepted solutions,’ whilst you measure how candidates got there, instead of where they ended up (this is a whole other blog!). This is Diversity of Thought, and you can allow for it in measuring candidates. Want to be a leader in the police? Best be able to use Command and Control – and that’s OK, because we need it (in places). Now, some people are not good at Command and Control. They have a different skill set, and may instead prefer leadership styles such as Collective Leadership. What happens if someone who prefers Collective Leadership gets put through the Command and Control Assessment? Well, they won’t perform nearly as well as those who are naturally really good at Command and Control. In fact, they may be filtered out here, and all because their strengths in leadership lie elsewhere. It’s kind of like a control mechanism for a particular kind of leadership. It also significantly disadvantages leaders from departments who need a different leadership style – such as people with skills in forming partnerships and collaborations. Exercises that create behavioural bias in selection (such as command and control scenarios as a filtering method). Use of application forms (pretty awful in terms of reliability and validity). Unstructured interviews (again, fairly awful in terms of reliability and validity due to the fact that they are so subject to bias). The resulting picture basically shows (and if you want a run down on how good particular exercises are for selecting good leaders, have a look here) that the traditional methods for leadership selection within constabularies up and down the country, are riven with bias, unreliable, and often invalid. These are technical assessment/selection terms for being poor quality. So, I hear you asking, if the current methods are pretty awful, what can you replace them with? Well, actually there’s all sorts of things that we could do better, but as an ex senior officer pointed out on Twitter last week, Assessment Centres were stopped in many constabularies because the senior leaders didn’t like the outcome of them. This stands to reason, because assessment centers often look at the whole of the candidate, and single exercise filters are forgone for several exercises that measure the a much wider picture. This means that some Command and Control heavy senior leaders, will be presented with successful candidates that do not have anywhere near as much of a Command and Control outlook as they do – thus putting them out of favour, or making it very difficult for them to succeed. In short, solid assessment centers with a wide array of exercises, are more likely (certainly not certain) to measure wider communication skills, the ability to process information, and the ability to display empathy/values. They are more likely to select good leaders. We can go even further into the building blocks of leadership, and look instead at things such as intelligence, emotional intelligence (how we interact with other’s and our own emotions) and cognitive load (how much info you can take in and process). This is relatively simple stuff, but it removes the behavioural bias that is built into many of our internal selection processes now. Serving cops often don’t like discussing measuring intelligence, they also dislike written tests, and they hate psychometric tests (I have direct experience of the use of all of these methods). All of these are far more valid and reliable than current methods though. How do we know? Huge amounts of research tells us, and it tells us convincingly too. So what gets in the way of better selection and measurement? Well, the truth lies in something that is called ‘face validity.’ This is fancy wordage for how the culture sees the exercises. If the candidates do not feel that the test measures ‘being a good cop,’ then the outcome of the results will often not be trusted or given any value. This makes improving selection fraught with leadership challenges. If you introduce psychometrics as a leg of your assessment center, there will likely be a backlash by candidates who will tell you that they mean nothing and are a total waste of time. The research tells us different, but the people’s perceptions of doing the tests are clearly immensely important. So, how do we navigate such a complicated landscape? The answer? With great difficulty and lots of iterative work – this means that things will fail, you learn from them, try it again with tweaks, and then learn from the second application, and so on. Eventually you end up with a product that the culture has begun to accept, that does a far more improved job of unbiased selection. If you made it through to here, then you are doing well, because that was quite dry. What are the take-homes from the above? The current way we select people internally is hugely prone to bias and unreliability. There are many better ways to select out there that have been researched and tested repeatedly. These methods may be really counter-culture, so implementing them may be very difficult. So, finally, what about the ‘Holy Grail?’ Well, nothing is perfect, you could search for the ‘right’ kind of selection exercises for a millennia. Will we ever find them? I don’t think so. I don’t think that searching for the perfect set of selection exercises is actually a worthwhile exercise. Why? Because it is all contextual. It depends on your environment, on your people, and on your culture. What is true however, is that better selection is not only important in order to find future leaders, it’s also immensely important to find different leaders. We will never find the hallowed ‘diversity of thought’ without doing a full reset of how we select our future leaders. Behavioural filters are used almost everywhere, and quite simply, they institutionalise behavioural bias. They’ve got to go, or become part of a suite of exercises that sees far more of the candidate. This means going from a past-the-post system (where each exercise is an opportunity to filter candidates) to a holistic system where a selection of exercises are used to see a wider picture of the candidate as a whole. This is a personal reflection on research that I conducted whilst a part of the Paul McKeever Scholarship. I am aware that the contents of it are quite controversial, and I am also aware of the fact that the police need much, much greater diversity in their ranks. The results are not presented in a way that seeks to undermine the objective of achieving just that, they are instead there to question the methods that are used to reach them. My research journey began in a lecture theatre at Warwick Business School. We were receiving a lecture from Simon Guilfoyle on the use of targets in police performance measurement systems. It totally changed my view on the way that police conduct their daily activities. I highly recommend Simon’s book (Intelligent Policing), where he discussed the use of daily, weekly and monthly targets and whether they actually represent a valid way to measure police performance. I will summarise for you: they don’t. He also illuminated for me a whole host of ‘unintended consequences’ that come from the targets and how they are realised. This was validated shortly after by the PASC report into Police Crime Recording standards and how they just couldn’t be seen as reliable at all. This report took its casualties, and there has been a slow and (hopefully) inexorable move away from performance management systems that often do the total opposite of what they were meant to achieve. Whilst this was ongoing, I could see that targets fell away in several areas of police performance, but that they stuck around in others… They were – and still are – used in diversity recruitment, hate crime monitoring, in complaint management, and in sickness (and other HR policies). I found this to be really strange, as we had a lot of research that indicated that targets were pretty awful, yet they were being ignored in areas of business that weren’t directly related to crime reporting. What were the unintended consequences that were taking place around these areas? How were they manifesting themselves and what were their effects? So, this led to me deciding to research the unintended consequences of the use of targets in BME (Black, Minority and Ethnic) recruitment and selection. I’ve always been passionate about diversity, so it seemed like a perfect opportunity to look deeper into how we are trying to improve it. I interviewed over twenty frontline cops in several Constabularies, transcribed seventeen of the interviews, and then coded (sorted and gathered themes together) in order to form a picture of how they were perceived. I was hoping to uncover the unseen picture of what the targets really did on the frontline. The map above shows the themes and how I grouped them. I then began to dig into how the themes came about, and where they came up in the conversation. There were several significant findings. Almost every single interviewee stressed the fact that they believed increased representation was really important. They were all sold on having more recruits from diverse parts of the community and could see the wider benefits of it. Interviewees often repeated this assertion throughout the interviews. Questions, Questions, Questions: Interviewees repeatedly questioned the need for targets within the process, and for justification behind positive action (this is activity designed for BME candidates that improves their chances of successful recruitment or selection). It was really clear that positive action was largely misunderstood, with perceptions that it created a positive bias within the process abound. In short, positive action was conflated with positive discrimination. This damages the legitimacy of the process and results in what is called poor ‘procedural justice.’ Those people subject to the processes, do not believe that the processes are fair, and this really affects the outcome of them. Officers weren’t applying for some roles, as they believed that the processes were ‘rigged’ in minority’s favour, with some just refusing to engage at all and mistrusting the people who were recruited/promoted as a result of them. Competence: The questions and lack of understanding above, then leads to other questions, such as, ‘Why are they not selecting for competence?’ This question worried me, because it implied that the officers did not believe that the processes were selecting for how good people were at the job, and instead selections were based on the targets that were in place. This is the first real indication that the targets were involved in causing harm. They were providing a framework for officers to challenge the validity of the process. There was a perceived uneven playing field, and at no point was there any interaction from management in an effort to explain why positive action made the process more ‘even’, instead of doing the exact opposite. This is a really damaging finding, as it undermines the purpose of increasing representation in the first place. If distrust and cynicism follows BME officers because targets also follow them, they then have a higher mountain to climb upon recruitment or promotion than any other candidate, and this removes a huge amount of any procedural justice that they believe resides within the system. The BME candidates that I interviewed confirmed this tangibly, and it sits with anecdotal evidence from colleagues I know personally too. Targets need removing, they rob the subject of the target of their competence. Officers need to be able to understand why positive action is being used in the workplace and how it works (how this is done is an L&D issue up for debate). Ideally, processes that do disadvantage BME candidates simply need fully re-designing, nullifying the need for positive action in the first place. This requires an in-depth knowledge of bias in assessment and recruitment policies (very developed in the College of Policing, not so much in internal constabularies). When managers make decisions that affect the perceptions of those subject to an internal/external process, the rationale must be communicated fully and a space for questions and debate should be created. Without this space, the prevailing culture will fill the gap with speed and ferocity. The above research highlighted some issues that need addressing, but what did they do for me? As an operational officer, what did I get from conducting it? These are incredibly important questions that address a wider discussion around what educating officers may achieve in the long run. Our internal understanding of the term ‘representation’ is under-developed and dangerously simple. It rests on the premise that if a certain percentage of diverse individuals are recruited, the representation problem is ‘solved.’ This is a fallacy and incredibly dangerous as it circumvents what representation is actually about (and I believe it to be about legitimacy and trust). This has illustrated to me that engagement as a manager is essential. It’s often seen as a fluffy add-on, but as a manager, if you leave information gaps, you are also responsible for the rumours that fill them. If police managers are making decisions, the communication of the rationale for those decisions is more important than the decisions themselves – and it is almost totally absent in many constabularies. Speaking with frontline officers at length, with whom I had to break the taboo of speaking about BME issues (yes there’s a taboo, and it’s stifling) has shown me that many care passionately about recruitment from diverse populations. They have real concern about ‘how’ that recruitment is conducted, because they care about the quality of service that they can provide and the safety of colleagues and the public. If the targets weren’t there and the perceived playing field more understood, it would go a long way to bridging a trust divide between BME officers and non-BME officers following recruitment/promotion processes. One interviewee spoke at length about the ‘hierarchy of diversity,’ and oh my goodness was she on the money. When you apply a target to a particular demographic, you consciously illustrate that they are more important within that process. She raised LGBT officers, Jewish Officers, Eastern European Officers and disabled officers as subjects that are unconsciously ‘lowered’ in their status of importance. What about thought diversity? What does this hierarchy tell us? It tells us that ‘valuing difference’ as a whole is actually a bit of a fib. If you value difference, you value everyone’s differences, and not just those for whom you have a political obligation. This is a great example of cognitive dissonance, and it reveals some hypocrisy that really needs addressing. It’s necessary to prioritise areas of severe need, but accompanying that with statements that deny prioritisation causes issues with understanding. And off the back of this, reducing people to a label as simple as BME also reduces the issue at hand to three letters that can realistically be ‘achieved.’ The changing demography of London as it stands, mixed with the particular tenure of police officers, makes numerical representation a far flung target that will be forever chased. If the target is unreachable, and we don’t know what ‘achieving it’ actually does, maybe it’s time to revisit the issues identified as causal factors in community trust breakdown instead? Finally, they led me to question, question, and question. It’s made me more of a pain in the backside (I imagine), but I will never accept simple solutions for complex social issues ever again. To finish, a couple of things. Until we address what ‘Representation’ actually is for a UK police force, we are aiming at fog. When a force reaches 8% BME to match its 8% BME population, can we shelve representation as a ‘job well done?’ I would say that the answer is a very clear ‘no.’ The Scarman and Macpherson reports indicate that persistent problems with community relations and a complete breakdown of trust were significant causal factors of representation breakdown – one could argue that numbers alone won’t address either of these issues (and a systematic review that is about to land shortly will do the same). So why do they seem to be the sole focus in many forces? If behaviour of police officers has a part to play in gaining trust and legitimacy (and research says it does), why does this play second fiddle to numbers without an evidence base? Culture change and wellbeing development, together with a developed understanding of procedural justice (internally and externally) may be partial answers to these problems. But, change in these areas is painful and complicated (and I know as I’m working on them). It is simpler to hold onto targets, because they are tangibly achievable and fit comfortably with an ingrained behavioural legacy of numerical performance management. The police need to recognise the complexity of the issue of representation, as the targets are currently acting as a scapegoat for far more difficult conversations about broken relationships and a lack of community trust. Diversity strategies should not be about numbers, they should be about forging relationships and creating sophisticated ‘listening’ functions where forces can judge their respective trust by community and tailor their interactions to address bespoke identified issues. Broad brush solutions do not address nuance and legacy. Without addressing this complexity, we will continue to aim at numbers that don’t mean a great deal, or actually achieve a great deal either. Numbers and percentages do not solve issues with societal/state relationships. Representation is a wicked problem, let’s start viewing it as such, scrap the targets, and acknowledge that a complex set of behavioural solutions is the only way to realistically address it. I started working in change about 18 months ago. I am nearly 13 years into my career as a cop and am still firmly placed in a duty level rank. I have spent 90% of my career on the frontline, working mainly on Response and Communities. I spent a short time as a trainee detective working in Burglary/Robbery and Force Major Incident Team on a murder, but that 18 months is the extent of my investigatory experience. Whilst a uniform officer I spent many years working high risk football matches, attending and supervising public order events like EDL marches/protests, and spent my last ops experience at NATO in Wales. Lots of people on twitter seem to think that I’m a ‘died in the wool’ office dweller; nothing could be further from the truth. I led the arrests board on communities for many years, held the highest number of ASBO’s and CRASBO’s for the entire force (as an individual officer), and pulled together the first double ASB House Closure in the country. I’ve arrested SOCA targets (after chasing them pro-actively for many months), many drug dealers, murderers and CSE perpetrators, but I’ve also done the hard stuff like taking children off parents, dealt with many mental health/self harm incidents, and offered lengthy support to vulnerable people on my ward (one of the four worst wards in the country). I was nominated for regional POP awards and also put some real effort into developing my people, who won several awards all the way up to national level. I’ve made some bad decisions when managing staff, but I’ve made many good ones. I’ve learned fast, and sometimes slowly. I’ve suffered PTSD, stress and struggled with close family member’s mental health whilst working 24-7. I’ve learned a lot about myself as a cop, sometimes that happens at speed. None of the above – not even close – has caused me as much stress as working in change. I requested to go and work on the National Leadership Review after seeing the advert. I wanted to develop my strategic knowledge and I’d studied leadership before. The first few months were nothing short of amazing. I travelled to many different companies and organisations, seeing how they saw the concept of leadership and talent management. I then had to bring this research together with desk based research from the academic world. My favourite visits were to the MOD in Shrivenham, and the NHS Leadership Academy – those people were really up on their shizzle. This experience changed the way I view my job. I saw how under-developed the concept of leadership in the police actually was. I also saw a real lack of consistent leadership training, especially at the duty level. I also saw real career mapping – people had ten years plans with moves all planned in – and real succession planning – people were matched via aptitude with particular areas of the business and grown on purpose to fill people’s shoes when they moved on. HR had a massive role in some of these places, driving talent schemes and doing most of the selection. 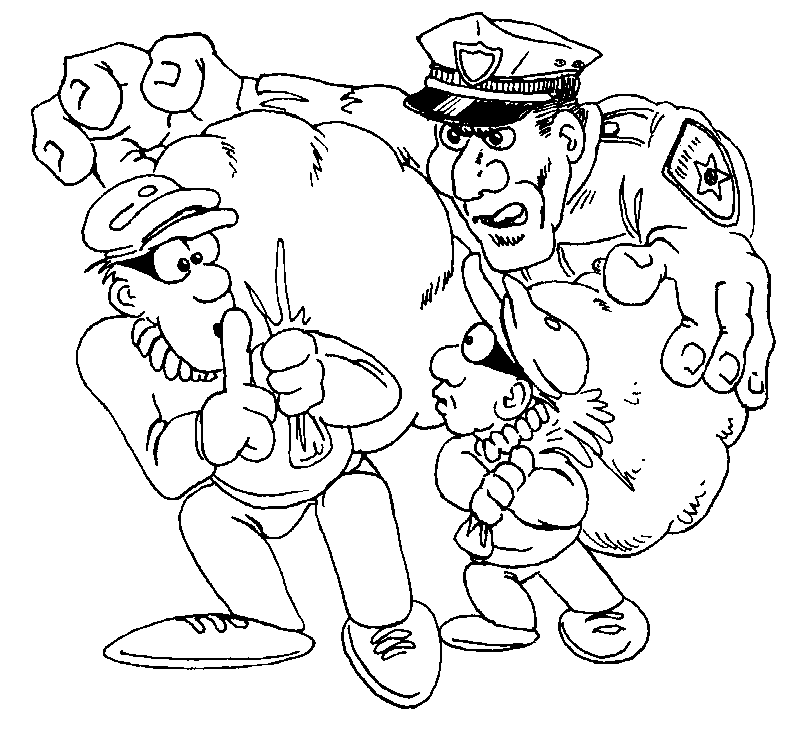 Anyone who has worked in the police will know that HR usually gives advice on and manage processes from arm’s length. They don’t do any driving of the organisation, and senior (sometimes junior) police officers tell them how to do their job regularly. This means that leadership selection and development is the domain of senior officers almost exclusively. They are the same people who hold the keys to promotion, yet most have no training whatsoever in unconscious bias, recruitment or selection, or what potential/talent looks like. This doesn’t make their decision making bad, it just makes the whole process subject to biases that people can’t see or feel. After this short (and amazing) period, the really difficult job of consultation began. I visited many forces, and held/attended many workshops where officers attended to feed in to the themes we had discovered. There was some really heavy resistance to some things, and we had meetings where there was just no give in some of the people listening. It wasn’t that they wouldn’t just come half way, they wouldn’t even move. Educational requirements was one such emotive subject, as was advertising vacancies across forces (???) and the reduction in ranks. The subjects aside, this wasn’t easy stuff. It was landing hard on social media, and people knew that I was working on it. I became the target for a lot of the ire, and as such I felt the brunt of the personalisation of change. I didn’t really know about how people start to personalise change when it happens, so me being me, I went to learn about why it happens. The theory is all in psychology literature, and it makes pretty hard, but quite enlightening reading. The reaction to change isn’t often rational, it’s emotional, and when you get emotions coming to the fore it often isn’t pretty. So where does the real connection begin? It begins when the change affects you. If it doesn’t affect you, and you won’t have to personally change, then you can often weigh up the pros and cons of it happening in slow time. If you haven’t read ‘Thinking Fast and Slow’ by Kahnemann and any of this stuff interests you, pick it up. ‘The Chimp Paradox’ is good too by Steve Peters. Basically, if you can feel your emotions kicking in about something, the chances are, you are not thinking clearly. This is quite difficult to manage, because when you are passionate about something, your emotions will often take the place of your cold, hard, logic computer in your brain. Stressors have been repeatedly shown to impair decision making, so when you hear something that affects you personally, and it means change, all sorts of twanging happens around your emotions, that make the weighing up of evidence really difficult. I saw this first hand, with senior officers turning puce when discussing the possibility of introducing educative standards for leadership. We were told it had no value, and that people were perfectly good at doing their job now, why do they need to learn any more? This isn’t actually a bad question, and it was important to manage our own emotions when hearing the feedback. I personally tried everything in this area, discussing studies, discussing other organisations, discussing the possible benefits to the public, discussing staff surveys, discussing the things we do now that cause harm… I could go on, but these things fell on deaf ears (unconsciously) because the subject just made people mad. It tugged on their identity, it made them feel uncomfortable, the arguments didn’t matter. I don’t want to discuss this particular subject here, as I have moved into working in change back in force. Yes, I am a desk jockey, and yes, I’m working in a strategic role, but I will tell you something, I’m working some long hours, and I’ve never burnt as many brain cells. You need constant self-reflection and self management. The list goes on and on, and it means that everything you do becomes conscious, because it all has ramifications. I’m currently working on promotion and selection re-design. The new process will affect people’s lives. If I’ve got this wrong, many, many people could be personally destroyed by it – at least in the short term. This keeps me awake at night. Just like the removing a child from parents, just like getting seriously assaulted, and just like carrying awful complaints. You might say… how can you compare the two? Well, you know what, these are my colleagues. There’s been no promotions for five years in the ranks I’m working on. There has been some unfairness in the way that temporary promotion experience has been handed out, and some people may not get through the process, despite working very hard and for several years in the rank to which they are applying. Some people stand to lose £10,000 a year if they don’t get through. That can cause serious problems in any family, and ultimately I need to know that what we put forward is fair. In all my experience, it is really rare that arguments come from the top of the triangle. Very occasionally, you get some great counter-arguments that border on refutation, but it’s really hard to find solid arguments that totally refute what may happen, because it hasn’t happened yet. You live in uncertainty. It’s not an unpleasant place to be in terms of where your head sits, but the bottom of the triangle can get pretty heated. It’s really hard to stop yourself taking them personally, but I’m lucky to have some guidance on this stuff and there are people that are very good at it. So, to the ad hominem attacks that reveal some facets of our culture… If anyone has done the strategy/operational merry-go-round, they will understand this. There’s a peculiar thing that happens in the cops when you stop working on the frontline. For some reason you become ‘less’ of an officer. If you go for a move or a promotion board whilst in a strategic role, you will often get the feedback that you have been non-operational and need to go back on ops, whereas the opposite plays out just as often. For some reason, the 11 years I spent in front line roles would be reduced to ‘of no value’ because I was working on some really difficult project that required specific knowledge and ultimately developing new skills and gaining understanding… (I’m not by the way, but this is how it works.) There’s also this feeling that you need to be kicking in doors to be a cop (not true), or that you need to fight regularly to prove your worth (totally not true), or that ‘strong’ decision making is always fast decision making (just dangerous)… Leadership is a complex beast, putting labels all over it (and macho ones at that), serve to cause division and create unfairness in the service. It’s bad sauce and it needs to disappear. And if you don’t test your own assumptions and beliefs daily – yet you sit in a leadership position – you may be missing out on all the mistakes you may be making. She describes it as “Working in change in the police is as close to self harm as you can get.” In many ways, this is startlingly accurate (unless you are a psychopath/sociopath). Working in change means that you must sit, daily, with your self doubt, meet it in the canteen, speak with it on twitter, listen to it on the phone, and read it in your inbox. It would be easy to work in change and be a narcissist, because you’re always right, the criticism is never a problem. But, if you care, and you really want to make a difference, you best ready the personal resilience, because you need it every day. It is only when we do this, that we are actually able to drag those emotional hijacks back to where they belong, and see the problem with new eyes. If people are working within change in policing, trust me, they care. It is not easy, and they will in all likelihood be suffering. They could be suffering from the weight of the culture, or the constant criticism, or the frustration of having all that understanding from the research, or the reduction in perceived self worth. Change is not easy anywhere, but it’s certainly far from easy in the cops. Just bear this mind if you feel the emotional hijack kicking in, because we are all human, and empathy is bloody important. On a final note, this isn’t a blog about how change is done, it’s about the fact that in the current climate it has to happen. People have to work within the departments, and solutions to society’s problems are part of our jobs as cops. We as a service must regularly mirror gaze too. I heard a cop muttering about academic jargon the other day, and although the complaint about complicated language is totally justified, we as a profession are just horrific for using jargon… I’ve sat in meetings where people have identified huge issues with our culture and leadership, and then steadfastly refused to say anything positive about any of the solutions put forward – whilst simultaneously failing to make any suggestions as to how new solutions may be reached… And I see – on a daily basis – the barracking of bosses and sometimes a total distrust of senior leadership, but absolutely no willingness to get their hands dirty and step up to either challenge those assumptions, or work to improve them. Accepting change has to happen is easy; actually personally changing, well that’s a different story altogether. This is a controversial blog. It may cause current leaders to feel uncomfortable, and I’m sorry for that as many are fantastic. Believe it or not, this is not about the quality of any leader, it is instead about the environment in which they function. I’m going to try and stay light on the theory, and instead paint a readable picture that may illustrate some of the problems I have seen and experienced. I’m hoping that sharing them shines a light on some of the issues with change in policing. There are a couple of things we need to understand about the particular structural make-up of the cops before we go any further. To all intents and purposes, the police is still a job for life. Once you are in, the regulations that govern us as servants of the crown are robust. It isn’t rare to see people begin talking about how much service they have left within their probation (the first two years) – it’s a discussion that runs through the fabric of the job. Many discuss their plans for retirement and plan their mortgages and debt around the commutation. There are many cops that discuss, ‘seeing their time out,’ and ‘making the finishing line,’ and these time based conversations happen everyday around you. Of course, they don’t by proxy mean that people’s enthusiasm begins to wane in their twilight years in the job, and there some fantastic cops in their final years of service. But, make no mistake, the length of service is a BIG thing. People will introduce themselves, and in the same breath tell you how long they have in the job. Experience over time isn’t just important, it is the way that people judge your level of knowledge. If you have many years in, the assumption is that you are ‘good’ cop, able to operate within the system and navigate from A to B competently. This connection of ‘time served’ to competence isn’t just a cop thing, but the 30-39 year tenure frames a particular discussion within the police that simply doesn’t take place elsewhere. On twitter and in service, I’ve been asked, ‘Oh yeah, and how long have you got in?” Let’s translate this: “If you have not X years of service, I’m afraid I won’t even listen to you.” How does this manifest itself physically? Probationers have to make the brews. Probationers get the worst jobs, repeatedly. Probationers are often asked to stay quiet or ignored by some until they become regulars. Probationers often are last in the leave rota. Probationers get the worst vehicles. Probationers are last out of the carrier. Probationers are called ‘probey,’ or something similar, until they have the service in to be called by their first name. This list isn’t exhaustive, but I’ve seen this still happening within the last few years. If you were coming into the profession, and this was ‘the way we do things around here,’ what would you think? You would immediately have to accept the fact that ‘time-served’ was really important, and you would also have to accept that your opportunity to learn would be really limited by the work you were ‘allowed’ to do. A quick example – if as the shift probationer you get every bed-watch, or every constant supervision, the chances are you will learn at a VERY slow rate. Most of your time will be spent on your own, watching people sleep, or talking with prisoners. Some hate this with a passion, but no one will challenge it, and it still remains the norm in many places now. Taken to its extreme, this can be seen as individual bullying, but I don’t subscribe to that, it’s just culture doing culture’s thing. It’s not a productive thing – it can feel deeply hostile – and in fact it actively works against probationers taking any responsibility, or doing any deep learning at difficult jobs. Of course, inevitably as probationers pass their probation, some haven’t actually dealt with anything ‘hooky’, so we actually can’t judge how they will survive as a regular officer. Probationers can just be bloody amazing. As a supervisor I’ve worked with a few that put those with far longer service to shame. In fact, there’s one probationer I can remember, who was one of the best cops I’ve ever worked with within 18 months of joining. To put him on a bed watch was a total waste of talent – for both the service and the public. At the same time, on the same shift, there was a cop with over 15 years’ service who really struggled dealing with anything much more complicated than a shoplifter and was persistently lazy. Funnily enough, he talked about length of service a lot. Time-served just didn’t equal competence then, and it doesn’t now. As a supervisor, I looked after that probationer, and although he took his fair share of bed-watches, I would have much rather have had him out and dealing with the public. I’m sorry, don’t go for your next promotion, you haven’t got enough time in rank yet. Don’t even apply, you need to have worked in neighbourhood policing. I’m sorry, you haven’t worked in a strategic/operations position yet. Come back next time, it’s not your turn. There are others ahead of you (this isn’t a competence thing, it’s a ‘They were here before you,’ thing). Is this the best person to go into neighbourhood policing? Is this person with less service of a higher competence than the person with longer service? Should this be about whose turn it is, or who would provide the best service for the public? Would putting this person into an Ops based role displace someone of greater skill in that role already? Is this person’s talents aligned with their position in the job – because that is where they will give the best service and enjoy the job most. Person A is great at their job and a natural leader whose staff show them a lot of respect. They ask their line supervisor for a shot at promotion, and they are promptly told that they need some neighbourhood experience before they apply. They don’t really like neighbourhood policing, and prefer the fast paced action of response policing and crisis management. The management want them as a supervisor though, so a move is engineered and Person A does a job-swap with Person B. Person B has been a Neighbourhood supervisor for many years, prefers long term problem solving and has firm established partnerships with many people in the community who feel that they are indispensable. They don’t get time for a job handover. Person A is well out of their comfort zone. Over time they manage a few community relationships, and find remote supervision of the team difficult. They dislike the community meetings and want to solve problems quickly and decisively. This doesn’t fit with the ward area and they are soon receiving complaints from residents. Their wellbeing suffers, but they soldier on, knowing they have been asked to do at least 18 months. Person B is also well out of their comfort zone. They need re-skilling and disappear to do several courses, whilst resourcing organises cover – leaving another team short. Fast paced decision making isn’t their thing and the team find them frustrating as they second guess themselves. A few practical mistakes and they are under investigation for their competence and on an action plan. This results in time off sick and a need for cover for them. This means a once stable team with a well liked supervisor receives inconsistent supervision and persistent staff shortages. Their wellbeing begins to suffer too. All of the above happens, because the force wants their supervision to have spent time in neighbourhood policing… They want ‘time-served’ in a particular role, despite the fact that the candidate – in both cases – is unsuitable. And the really sticky bit, is that neighbourhood policing isn’t – in any way – a pre-requisite for good leadership. Good leadership is just good leadership, and it matters not how much service you have or where you have served it. What is omni-competence? It’s competence around a wide group of specialisms, so as a leader, you need operational, strategic, and investigative experience, because experiencing all these things makes you a better leader. Does it?? Says who? I know great investigative leaders who’ve been in investigation all their career. I know great operational leaders who have spent all their career in ops. Moving either of those people out of those spheres would be a travesty, because they are truly awesome in their respective fields, yet it happened. It stands to reason that the service levels would then drop, as others with far less experience take over, so that they can move into an area where their knowledge is of little use? I bet using the ‘5 whys’ (when you ask ‘why’ 5 times to see if you get a meaningful answer) this would falter at stage 2 or 3. There’s no evidence behind it. Why does this happen? I guess there’s a presumption that we get good leaders if we bounce them around the organisation? It’s like an organisational habit. We’re addicted to it. The result is an inconsistency of leadership, many, many courses (and therefore expense) as people constantly collect competencies (that they use for a very short amount of time), and a discernible lack of strategy across the organisation. How do you execute a five year or ten year strategy when you change leaders every 12-18 months? It would be incredibly difficult. The end result is plethora of short term changes, and a lack of any long term vision. This is why cops on the deck feel the brunt of initiative after initiative from new leaders trying to make their mark, before their stint ends or they get switched elsewhere. If you have spent 20+ years doing this, it’s the path that you have taken, and you place value in it. At the bottom of the organisation you accept that this is the way it works, and you play the game and do the time. In turn, you value the time spent on other things, because there is no way that people don’t learn when they change departments. The learning curve is steep, and you have to learn fast to fit in and keep the wheels turning. This personal learning is great for that individual, but for the service, and for the public, I’m not sure it’s great at all. In fact, one could even say that people are paddling so fast under the surface as the run the ‘job-switch’ gauntlet, that changing the way things are done – and I mean properly changing them, not tinkering and doing little initiatives – becomes an impossibility. At the level of middle managers, when you have the greatest opportunity to make a tangible difference, you are on the ‘job-switch’ gauntlet. You navigate hoop after hoop, because those ahead of you choose if you progress, and those under you don’t seem to factor in whether you get promoted or not. You need to fit in and deliver for the gatekeepers, not those that sit outside the keep. Ambition keeps you on the ‘job-switch’ gauntlet, and the culture becomes self-sustaining. At the promotion boards, there are lots of discussions of what you have done, where you have done it, and what ‘competencies you have fulfilled’ (think experience as knowledge as I discussed above). This is embedded in the National Police Promotion Framework, which measures your answers on the ability to relay previous experiences. Prospective leaders must be collectors of experience and tellers of stories. They often don’t have to prove any external learning, they often don’t discuss how they would change the future, they often don’t discuss their knowledge of culture, they often don’t discuss their self-awareness or self-reflection, there is little exploration of emotional intelligence or resilience, and they rarely – if ever – evidence their personal knowledge of how others view them. God forbid them discussing mistakes… (the greatest source of learning). The name of this blog was chosen not because the guard is changing, but to discuss how a ‘change’ is incredibly difficult. Whilst experience and time-served is valued over the things in the above paragraph, how can we ever do a meaningful job of developing them? If, for your next promotion you have to do Neighbourhood Policing, because that’s what the boss said, or that’s what the boss did, why would you invest in Continuing Professional Development? If you are asked to hoop jump and run initiatives, why would you delve into self-awareness and self-reflection? If it’s ‘your turn next,’ why would you look to changing the future landscape? And herein lies the major problem. Whilst the gatekeepers hold the keys to the gate, why would they change the gate? I’ve heard/seen some of these things first hand. It’s the gatekeepers putting trust in their gate. They guard the paths to progress in the job, and in doing so they hold the key to real culture change. Where does it begin? When the Sgt signs off a PC’s performance development review with ‘suitable for promotion,’ all the way up to NPCC. When the gathering of ‘experience’ is the ‘way things get done round here,’ it will continue to be closely guarded by the key holders, who saw success off the gathering of experience. So, if you want change in a culture like this, how do you go about it? The key thing for existing leaders to realise is that change is necessary, and this is not always an easy realisation. It is the job of strategic leaders within the organisation to orchestrate this realisation and there are a myriad of ways to make it happen. Once this is reached, the hard work begins. Many across the country have tried for many years to get real change in culture, especially around wellbeing and emotional intelligence, but it hasn’t stuck or sufficiently shifted yet – the guard has not changed. The self-sustaining eco-system has prevailed. If you are reading this as a leader, recognising the facets of promotion (purely experience based) above are less than adequate for selecting potential leaders is a step in the right direction. If you are an aspiring leader, influencing how they are organised and run is a priority. If you are a serving cop, acknowledging that experience isn’t everything yourself is a big start, and even having open discussions about it all helps. Talk is cheap, it’s active change away from experience that needs to be seen by those in service now, and more emphasis on leadership qualities that are distinctly counter-culture needs to be established. This isn’t just a changing of the guard, it’s a removal of them as holders of the keys, followed by establishing a new guard that doesn’t listen to the people in the keep. It’s not cosmetic surgery, it’s genetic engineering, looking and re-addressing the way that we both evaluate and develop leadership at its basest level. And we’ve been doing it for a very long time.